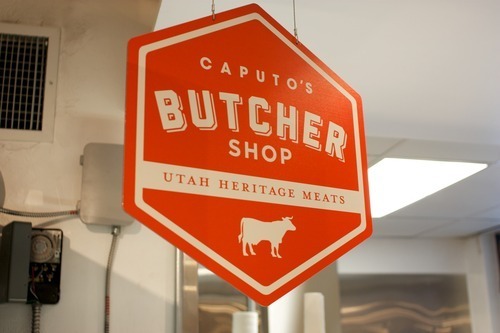 If I had to pick just one local shop that has done more to elevate Salt Lake City’s tastes regarding food and the culture that surrounds it, I’d have to pick Caputo’s. I remember watching Tony do his cooking spot on TV when I was younger, and then be in awe when I saw him energetically working behind the deli counter between shooting his TV spots in the back of their old shop right on the corner of 3rd W and Broadway. I remember walking through their shop, admiring the gorgeous, multi-colored bottles of imported water, olive oil, and vinegar. They cared (and still do) about their food and ingredients, and they remain one of my favorite haunts in Salt Lake City. Caputo’s has evolved over the years. What was once a tiny deli and sandwich shop is now a shop that offers an olive oil and vinegar tasting bar, a gorgeous and huge selection of fine chocolates from around the world, a wonderful deli meat counter, a wide selection of some of the world’s best cheeses, salumi, pasta, sauces, jams, beverages, cheese cave, and educational classes to help us expand our palates and knowledge. 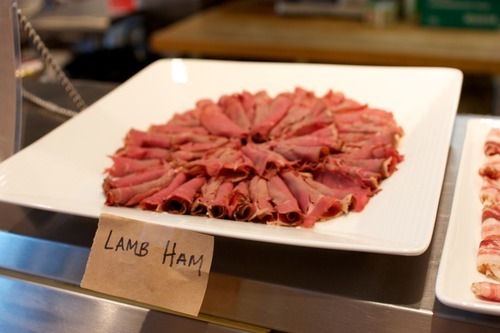 And now they’ve taken the next step in their evolution by opening Caputo’s Butcher Shop. 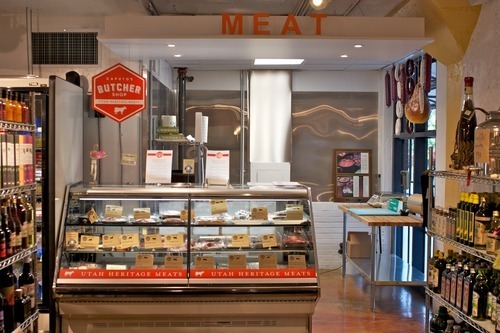 The shop will only sell Heritage meats–animals that have been humanely raised and pasture-fed by ranchers that understand that there’s more to it than just making money. 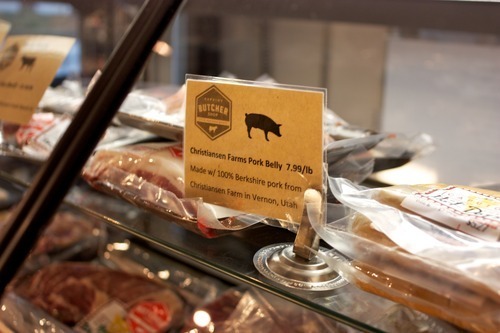 The shop will sell Christiansen Family Farms pork, Snowy Mountain lamb, and Pleasant Creek Ranch beef. Goat and chicken will be coming soon. 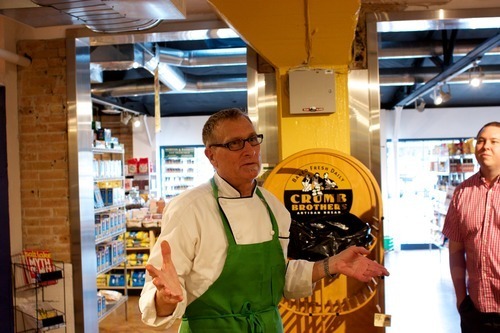 Frody Volgger, formerly of Vienna Bistro, is the in-house butcher. Frody closed down his vaunted Vienna Bistro a few years ago when he was battling cancer and he realized he needed to focus on his treatment. Now, in his recovery period, he found himself curing meats and giving them away to friends and family. He said that during the last holiday season he cured over 1,000 pounds of meat for friends and family. So it was a rather fortuitous meeting between Matt and Frody that ended up with them deciding to open a butcher shop at Caputo’s. Frody is more than happy to do special cuts or take special orders for meat. So if you’re in the need of a special cut of meat, chances are he’ll be able to do it for you. And he’ll happily share recipe ideas as well. 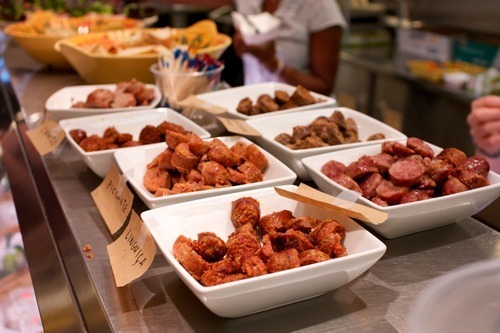 In addition to butchering, Frody is also preparing a special line of their preservative-free, house-cured meats. 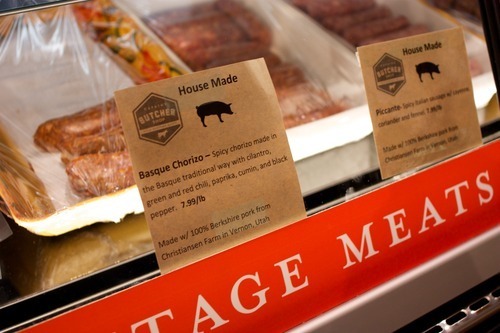 Everything from ham, chorizo, and other sausages will be featured in the butcher case. 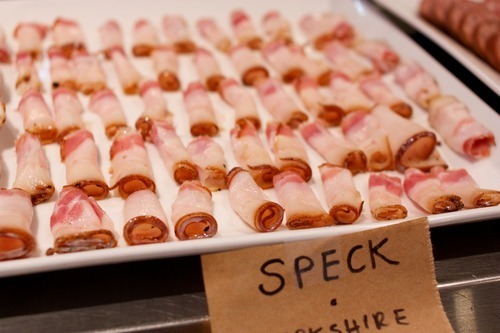 We tried a wide variety of their offerings and they are indeed tasty. The next time you’re in Caputo’s swing around the corner, walk past the balsamic vinegars and olive oil, and check out their butcher case. Say hi to Frody. Ask him to tell you about the meat. He’ll be glad you did.